The Cal PSA was formed to bring together students of Pakistani/South Asian origin and other members of the UC Berkeley community and to provide a forum for exploring the different aspects of Pakistani culture, politics, and history. Today, our vision is to promote the awareness of Pakistani and South Asian culture, language, and identity at the University of California, Berkeley and to act as a platform for social and political interaction between Pakistani/South Asian students on campus and the greater Bay Area community through various events and activities. As a cultural organization, Cal PSA upholds the three pillars of society, charity, and politics. Throughout the semester, we hold multiple social/recreational events to outreach and bond with the South Asian community, charity events to raise money for various humanitarian causes, and political events educating ourselves and others of the political and societal facets of Pakistan and the general South Asian region. Our goals are to excel and succeed in each of these pillars. 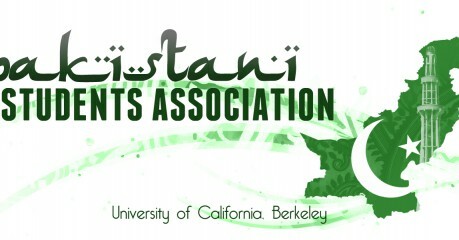 The Pakistani Students Association of the University of California, Berkeley primarily works to promote unity among Pakistani students and to increase awareness of Pakistani culture and politics throughout the campus community. Moreover, this organization welcomes anyone interested in learning about Pakistani culture and the Urdu language. PSA achieves these goals by holding cultural and political events. Any funds raised at these events will be donated to humanitarian relief efforts. Banner design by Cal’s Innovative Design.